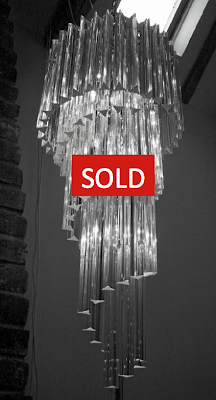 20thCenturycollectables.co.uk: Current stock: Spiral chandelier with 86 clear crystals. Chromed steel frame. Diameter 40cm Length 95cm plus chain length to suit. Current stock: Spiral chandelier with 86 clear crystals. Chromed steel frame. Diameter 40cm Length 95cm plus chain length to suit.